iRobot and Neato are the manufacturers most often associated with robotic vacuums but there are plenty of other competitors vying for your hard-earned money. The latest high-tech floor cleaner from LG is no exception. LG's new Hom-Bot Turbo+ packs a couple of noteworthy features that tech-savvy users may find interesting. Home-Joy is an augmented reality mode that allows you to point your smartphone's camera at an area of the room you want cleaned. Once defined, the roving robot will get down to work. If that doesn't impress you, maybe this next feature will. As many robotic vacuum users have found, scheduling a cleaning while away from home is one of the many benefits of owning such a device. The Turbo+ features a trio of cameras that assist the Robonavi software in efficiently navigating your home. These cameras can be used to view the robot's cleaning job in real-time and help to remotely control the device while away through the Home-View function. The Home-View function, meanwhile, puts the cameras to work as a mobile security system, allowing the robot to send still images to your mobile device if it detects movement in a home that should be empty. As for how well the actual vacuum component works, we'll have to reserve judgment for a later date. 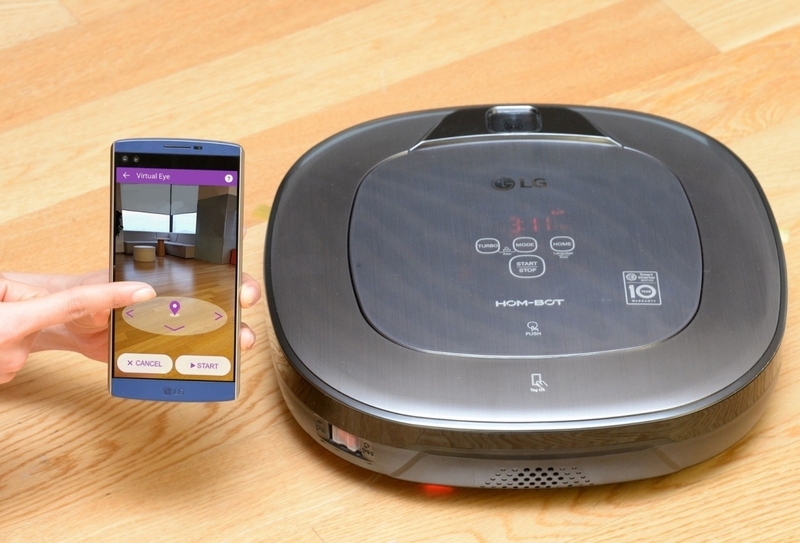 LG plans to showcase the Hom-Bot Turbo+ at the Consumer Electronics Show next month. No word yet on when it'll go on sale or for how much.